Perhaps a package of Benadryl or allergy medicine? Maybe some basic first-aid supplies? 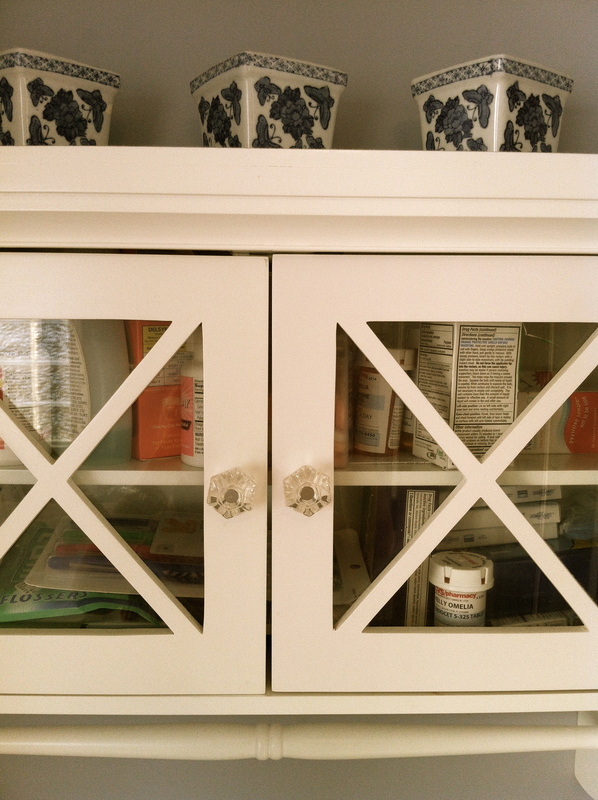 For many years I had an ordinary medicine cabinet, half-filled with common household remedies. I went about my life never really acknowledging that small, unremarkable space. Never pausing to give thanks. Then all at once my medicine cabinet changed. Suddenly it was packed to overflowing with prescriptions. Plastic containers, bottles, syringes….precariously stacked, one on top of the other. And one day as I cautiously opened that cupboard door, prepared for the avalanche, I was struck with the realization that for years I had taken my half-filled medicine cabinet for granted. I had never fully comprehended what I had. Never fully appreciated the freedom that comes with good health. And now I found myself in a very different place. I had a sick child. A very sick child. I was tied to hospitals and doctors. if I would ever experience those happy-go-lucky days again. My life had become a series of adrenaline rushes intermixed with deep pits of nausea. The burden weighed heavily upon me. I was living a bad dream that I could not wake from. Then on September 14, 2009, exactly three years ago today, I walked beside the gurney carrying my almost 3 year old daughter into the operating room. She was about to undergo a fifth brain surgery to stop the catastrophic epilepsy that threatened to rob her of a normal life. I kissed her goodbye and went over some final details with Dr. Weiner, the pediatric neurosurgeon. This is it. 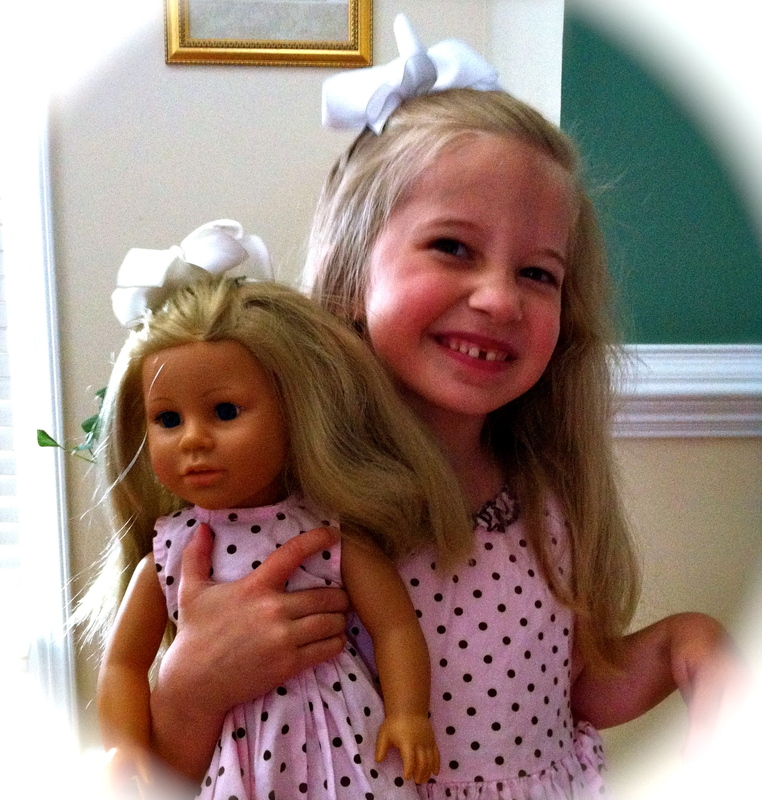 This “redo” will be our final attmpt to stop Gabrielle’s seizures. I explained to Gabby that, “The doctors just need to make a “boo-boo” on your head to stop the seizures and then we’ll go visit Mimi and Pop.” I hope and pray that this is in fact the case. I have learned a lot about faith over the last two years. Faith in the midst of suffering. Faith in the midst of heartache. Faith in the midst of death. Faith when God’s will is carried out instead of my own. Lord God, I ask you to move this mountain from our lives in the name of your son, Jesus. I ask with the faith of a child knowing without doubt that you alone are fully capable of healing our daughter of these debilitating seizures. And Lord, I ask that if this is not your will that you would provide us with all of the strength and endurance necessary to continue on this journey. I hit the publish button on my blog with a trembling hand… and then the waiting began. Waiting for updates from the OR. Waiting for Gabrielle to be wheeled into the PACU. Waiting for God to reveal His will for my daughter’s life. Now I don’t know why God chose to lift this burden from our lives, I’m only thankful that He did. Today, we celebrate three years of seizure freedom. THREE YEARS! Date your hubby while you can. Take spontaneous trips and visit new places. Do cartwheels with your kiddos. Because tomorrow isn’t promised to any of us. Not one. because none of us wants to finish up our days here on Earth with regret. things might look very different. God is good! Three years! So happy for all of you. Wow! Three years! God is so good to us! I’m so glad she’s doing so well! How’s that medicine cabinet look now? How is it that I always finish your posts in tears? Thank you for sharing your thoughts – and praise God! Wow! Praising God with you! Chris is going to write a book in this coming year (Lord willing)…I’m thinking you should too!! Love y’all! Rachel, That is sooo exciting! I would love to know more! Hope we can catch up with each other soon! A fb friend recently led me to your blog (or was it He himself?) I am really enjoying reading what you publish, shedding a tear with you, though far away and far from the time when you experienced your emotional spikes. I am a stay at home dad, we are on our second surgery with our daughter, and there will probably be more. We are currently in a honeymoon period – almost 4 months. I understand your emotions and know how hard it is at times to continue to carry on. Thank you for sharing your story. Thank you for being so strong for your family. Thank you for living out His will. Thank you for being an inspiration to me. It is not easy, what you do. Ken, Thank you so much for your kind words, they made every ounce of time I’ve ever poured into this blog entirely worth it. I pray your daughter continues to do well.